Time is flying the way it always seems to do just before Thanksgiving. Here we are at Saturday again which means I get to join in with Saturday Snapshot hostessed by Melinda at West Metro Mommy Reads. This is where we share photos taken by ourselves, family or friends, but not something you just found on the internet. Think about joining in. I know a lot of great photographers out there who should be part of this! I don’t know if I’ve mentioned on here but we own two houses…one of the stumbling blocks to us getting to New Mexico. Oh, right, New Mexico…we own Three! One of them is about a half hour south of the one where we live. We usually drive down about once a week to check on things. I was looking forward to the ride this week because I knew the Fall colors would be beautiful. I was also looking forward to it because I know there is a Red Maple tree in the yard and I was wondering what it would look like. I had the feeling it might be too late to catch the beauty of the tree. Fortunately, I was wrong! I took a number of photos because I wanted to get as many angles as possible. The tree had lost many of its leaves but there were enough left for some great photos. 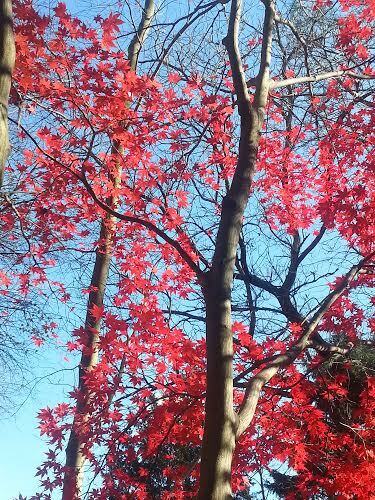 I picked this one because I love the contrast of the red leaves, the late afternoon shadows on the trunk and the contrast of the blue sky. As it happens so often, I don’t think this translates as well as it did in the actual photo. But I like it anyway. 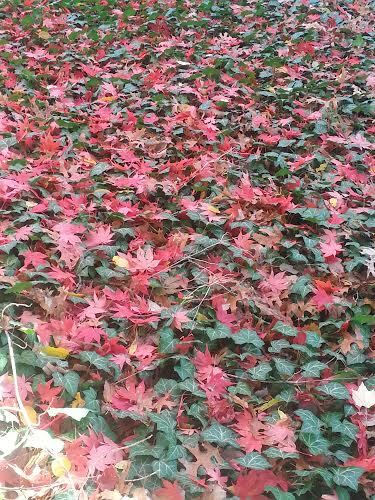 Red maple leaves on a bed of ivy. I love this one. When I saw it in person, it looked like a field of poinsettia. I love this because of the contrast between the red and green. It almost looks like it should be used as a Christmas decoration! Red maples have always been one of my favorite trees and I was so pleased that I got to catch the beauty of this one before it was gone for this year. Be sure stop by at West Metro Mommy Reads to take a look at all of the other wonderful photos being shared there. I love being a part of Saturday Snapshot hostessed by Melinda at West Metro Mommy Reads! You can join us. Just post a photo (or photos) that you have taken. It can be by a family member or friend, not just something you grabbed off of the internet. Join in…the more the merrier! Our Autumn has been a little strange here in New Jersey. Initially we had very little color in the trees. Ralph and I were saying that it was starting to feel disappointing. But as the weeks have gone on, we’ve started to realize that it’s a good thing. We had a little color in some areas, then a little in other areas. Now we’ve got trees in all stages of color which is actually a wonderful thing. You see the trees which got their color early are now a little dreary but are brightened by colors coming from the trees taking on color now. As we pulled into the parking lot at the gym Thursday morning (yes…I go to the gym now!!) I was delighted to see this series of trees. It’s hard to see but there are three trees here. I thought they were so beautiful and the epitome of Autumn. I hope that where ever you are, you’re having a beautiful Autumn! 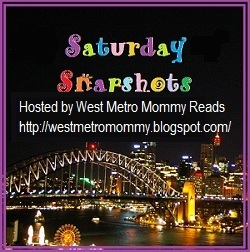 Be sure to take a few minutes to visit Saturday Snapshot over at West Metro Mommy Reads to check out what everyone is sharing. Another Saturday and it’s time for another Saturday Snapshot. This is the fun link up hostessed by the lovely Melinda at West Metro Mommy Reads. Be sure to stop by there when you’re finished here to see all of the photos being shared. I have been sad because of the lack of pretty sunrises and sunsets lately. I don’t know why we’re not getting them. Sunrises and sunsets are two of my favorite things in general and two of my favorite things to photograph. I have been very disappointed in recent months. This photo is a different kind of sunset than I’m used to capturing and posting but I think it’s beautiful none the less. Ralph and I were on our way to dinner at a local restaurant recently when we both noticed how pretty this was. He stopped the car for me to take the photo. There was no color. 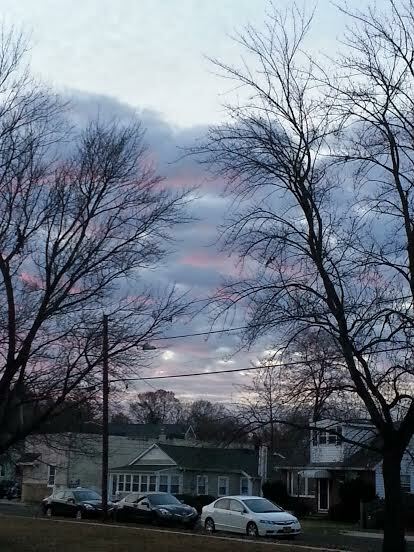 The sky had been very overcast most of the day so it was all dark gray with the white of the fading sunlight. 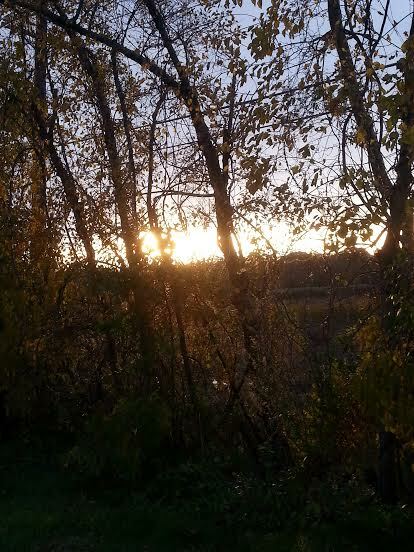 I captured it over a swampy and wooded area near our town. 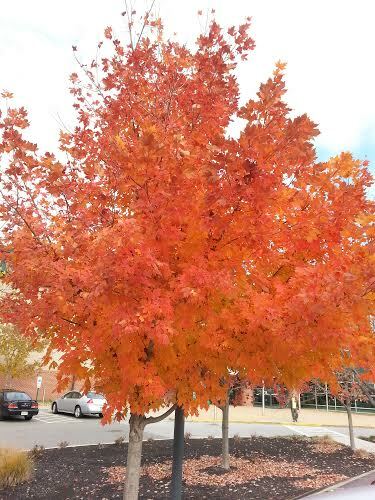 The trees with their Fall foliage add some color. 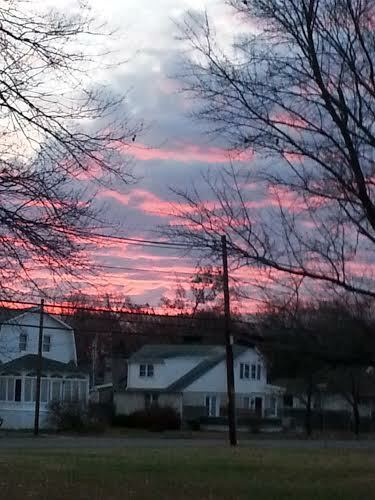 I still prefer the more colorful sunsets, but I thought that this one had a certain beauty. Don’t forget to stop by West Metro Mommy Reads to see all of the other photographs being shared today! I always try to find something unique to use for my Saturday Snapshot contribution. I think this is a good one. Saturday Snapshot is hostessed by Melinda at West Metro Mommy Reads. Be sure to stop by there to see all of the other great photos. Autumn is a time of decay in nature, leaves fall, the grass turns brown. Other things tend to fall apart too. Or perhaps we just notice them this time of year. 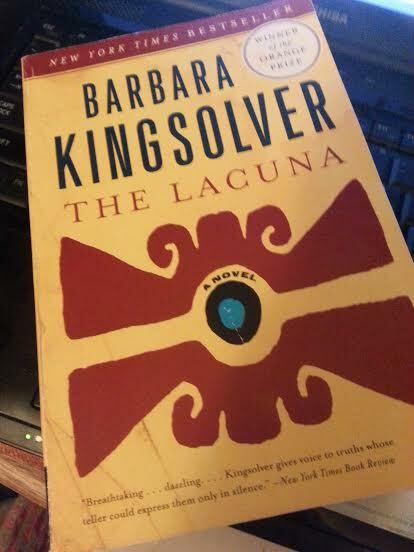 A number of years ago, well, Many years ago, my father in law gave me a gift. 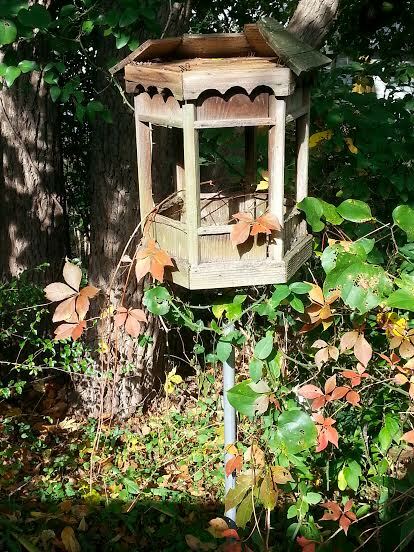 It was a gazebo shaped bird feeder. It stood in my side yard just across from my back door. It was a good spot because I could look out of the door and see all of the activity there without startling the birds. It was so much fun to watch the goings on. There used to be a plastic tube in the center where the bird seed was held. 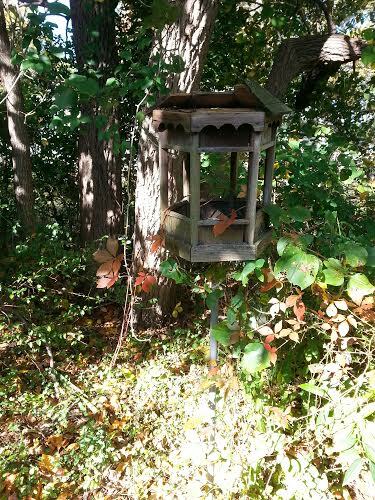 Over the years, pesky squirrels chewed at the plastic and we had to resort to just putting the seed in the bottom of the feeder. Of course, more often than not, the squirrels got there before the birds. Eventually, I stopped putting any seed in it since the birds weren’t getting the benefit of it. Having been away from my house for several months while I was recovering, I didn’t see the toll that weather and the changing seasons had taken on my old friend. Most of it’s roof has fallen off and vines are growing in and around it. I couldn’t decide which of my photos I like better. I decided to share both of them. I’m thinking I like the second one better, but I’m still not sure. Either way, I’m sorry to see what has happened to my old bird feeder. It holds fond memories and now I have photos to document those memories. Be sure to stop over at West Metro Mommy Reads see what great photos are being shared. Here we are, it’s Saturday again and it’s time for Saturday Snapshot. Hostessed each week by Melinda at West Metro Mommy Reads, Saturday Snapshot is a fun place to get together with other people who enjoy taking photos and sharing them. I love being a part of this link-up but I had the hardest time this week trying to decide on a photo to use. I jumped into the way back machine to solve my problem. Well, not That way back but a bit. 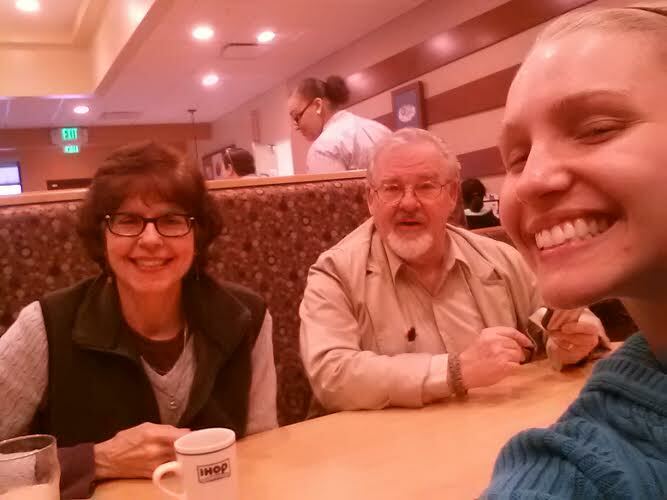 In March, I had the pleasure of spending several weeks in Clearwater, Fla. with my best friends, Gail and Alice. We always have the best time but we’re always looking for new and different things to do. Gail found that there was a Buddhist Temple in Tampa. We took a road trip. I posted pictures before of the Temple itself. On Sundays, there is also a market where they sell food (which is Excellent) and flowers. 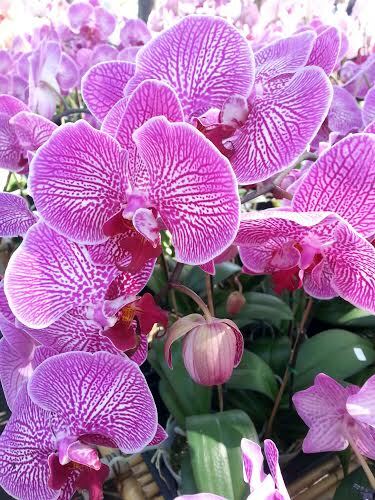 They have an amazing collection of orchids. I took lots of photos and can’t believe I never shared them. Hard to choose which photo to share but here’s my choice. A photo doesn’t really do them justice. The colors were so intense and so varied. This brings back memories of a beautiful warm day and a new adventure. It was great fun. Don’t forget to stop over at West Metro Mommy Reads to see what everyone else is sharing this week.